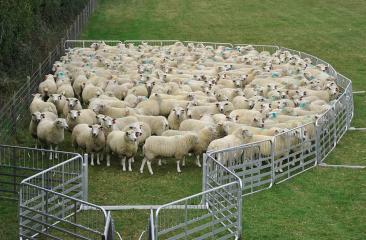 Our most popular mobile yard with a holding capacity of up to 250 ewes. The Standard Yard offers great value for money in terms of footage by utilizing 7′ hurdles, and fits the bill for most people. Easy to deploy in the field and move to the next. Expandable if required.